The World Congress of Accountants (WCOA) was held in Sydney, Australia this year from 5–8 of November. An event of networking, debate and insight on business and personal development with contemporary thought leaders from around the world. 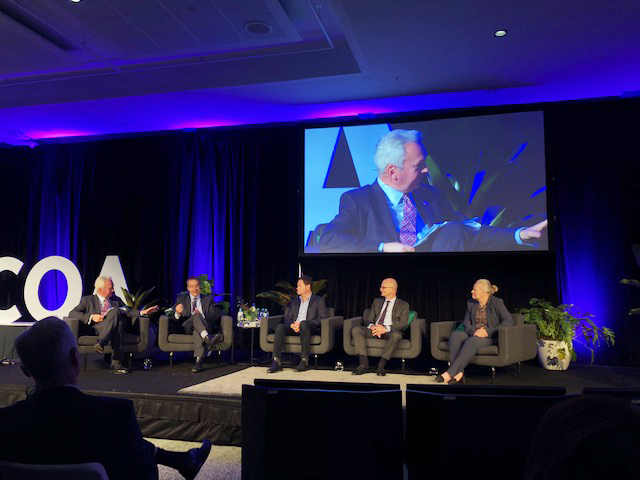 These photos feature the CFO 4.0 moderated session by President Andrew Porter with panellists that included G100 National Executive Member Lawrie Tremaine from Origin Energy.